Portable roll-up sign with cloth corner pockets and cross bracing for temporary traffic control. The corner pockets are made of heavy duty, 4-ply, minimum 14 oz. material. Each pocket is bar-tacked for added strength and double stitched directly to the back of the sign for durability. All signs come with high-quality, UV resistant polyester/glass fiber “pultrusion” ribs that are joined at the center with a special heavy-duty, low profile rivet to minimize scuffing and wear. Additional features include a velcro closure strip for keeping signs tightly rolled and printed legends on the outer edge of the sign for easy identification when sign is rolled for storage and transport. For additional size, material, and pricing options - Email Us or call our customer service representatives (800) 296-6050. 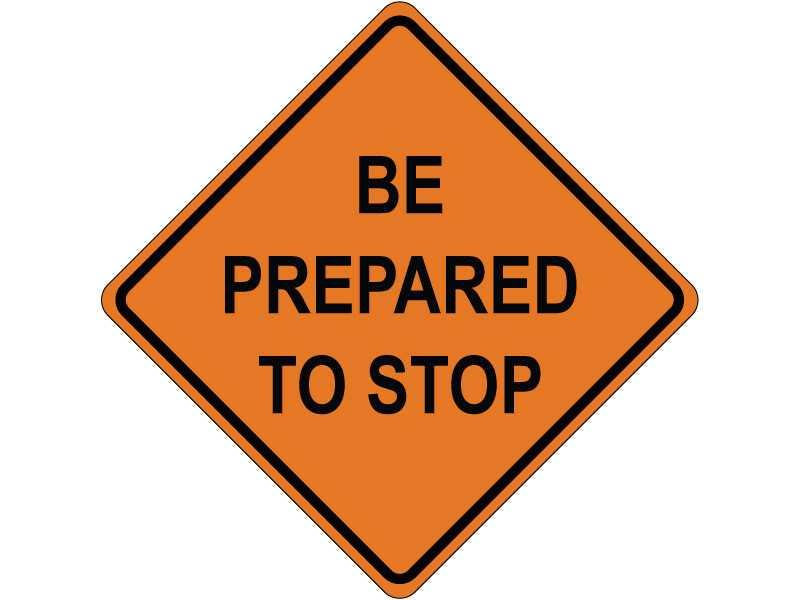 Series RS20 Diamond Grade roll-up sign sheeting is highly reflective, wide-angle, prismatic material made from 3M Diamond Grade Reflective Sheeting and is used for the production of roll-up work zone traffic control signs. This sign sheeting is designed to provide higher nighttime sign brightness than sheeting that uses glass bead lenses. Exceeds specification ASTM D 4956-04, Type VI.